O my Most Loving and Gentle Jesus, I desire with all the affections of my heart, that all beings created and uncreated, should praise Thee, honor Thee, and glorify Thee eternally for that sacred wound wherewith Thy divine side was rent. I deposit, enclose, conceal in that wound and in that opening in Thy Heart, my heart and all my feelings, thoughts, desires, intentions and all the faculties of my soul. 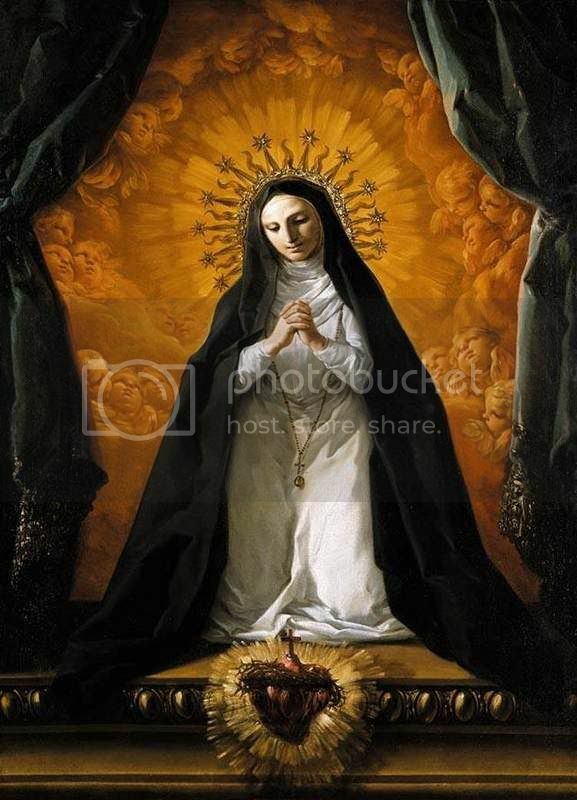 I entreat Thee, by the precious Blood and Water that flowed from Thy Most Loving Heart, to take entire possesion of me, that Thou may guide me in all things. Consume me in the burning fire of thy holy Love, so that I may be so absorbed and transformed into Thee that I may no longer be but one with Thee. and in the age of ages. Jesus, who dost burn with love for us, humbly kneeling at Thy feet we adore Thee with the deepest veneration of our soul; and in order to make Thee recompense for the outrages which Thy Divine Heart daily receives in the most holy Sacrament of the Altar, we unite ourselves with the hearts of all those who love Thee and give Thee tender thanks. 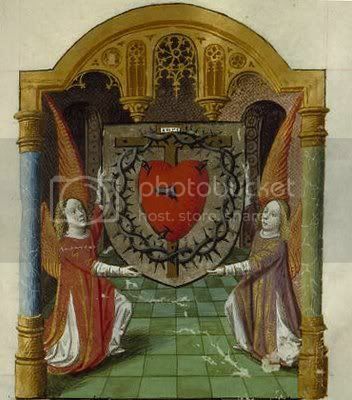 We love in Thy Divine heart this incomprehensible fire of love towards Thy Eternal Father; and we entreat Thee to inflame our hearts with ardent charity towards Thee and towards our neighbours. 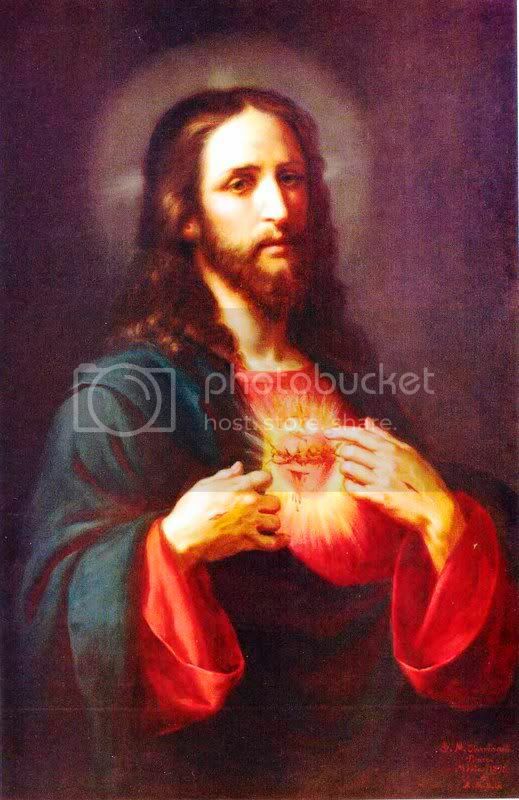 My most loving Jesus, my own heart is glad when I think upon Thy most Sacred Heart, all tenderness and sweetness for sinners, and I am filled with confident hope of Thy kind welcome. But O, my sins! how many and how great are they! Grieving now, like Peter and like Magdalene, I bewail and abhor them, because they are an offence to Thee, my Sovereign Good. O, grant me pardon for them all. Would that I might die before I offend Thee again! 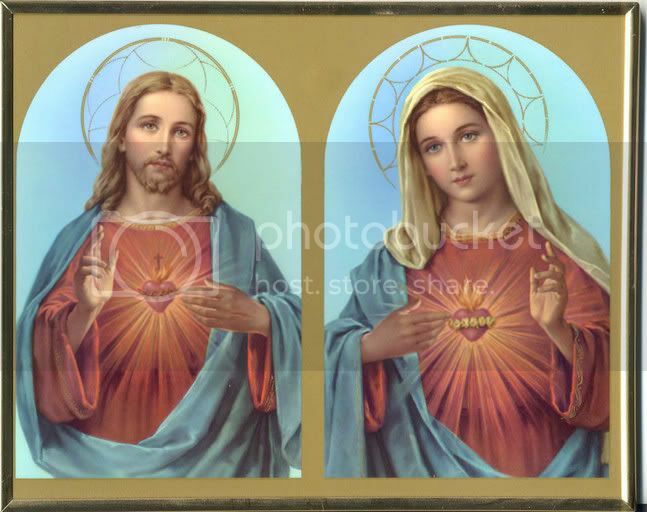 I pray Thee, by Thy Sacred Heart, that I may live only to requite Thy love. My Jesus, I bless Thy most humble Heart; and I give thanks unto Thee, who by making It my model dost not only give me strong and urgent inducement to imitate It, but also, at the cost of so many humiliations, dost vouchsafe Thyself to point out, and to smooth for me the way to follow Thee. Cool and ungrateful that I am, how have I wandered far away from Thee! Pardon me, my Jesus! Take from me all hateful pride and ambition, that with lowly heart I may follow Thee, my Jesus, amidst humiliations, and so obtain peace and salvation. Strengthen me, Thou who canst, and I will ever bless Thy Sacred Heart. 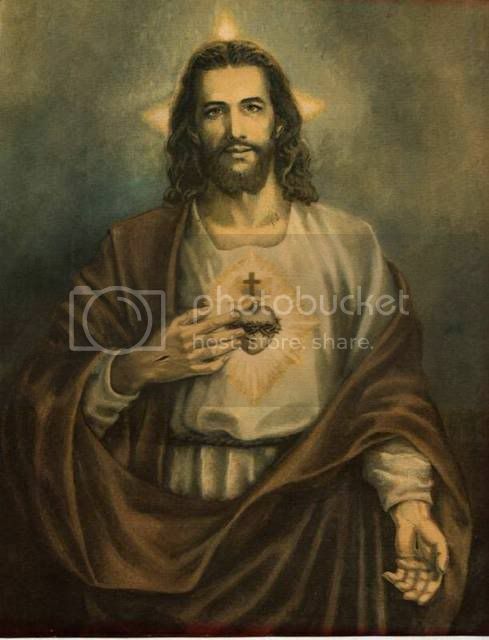 Grant, we beseech Thee, Almighty God, that we who glory in the Most Sacred Heart of Thy well-beloved Son, and call to mind the great benefits of His heavenly charity towards us, may be gladdened by the operation and fruit of those graces in our souls. Through the same Christ our Lord. 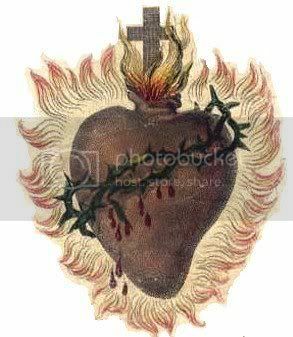 O Divine Heart of my Jesus! I adore Thee with all the powers of my soul; I consecrate them to Thee for ever, together with all my thoughts, my words, my works, and my whole self, and I purpose to offer to Thee, as far as I am able, acts of adoration, love, and glory, like unto those which Thou dost offer to Thine Eternal Father. I beseech Thee, make reparation for my transgressions, be the Protector of my life, my refuge and asylum in the hour of my death. By Thy sighs and by that sea of bitterness in which Thou wast immersed for me throughout the whole course of Thy mortal life, grant me true contrition for my sins, contempt of earthly things, an ardent longing for the glory of heaven, trust in Thy infinite merits, and final perseverance in Thy grace. 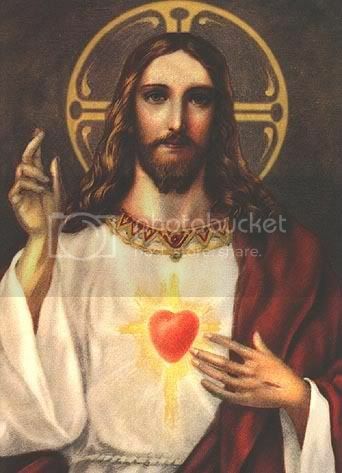 Heart of Jesus, all love! I offer Thee these humble prayers for myself and for all who unite with me in spirit to adore Thee; vouchsafe of Thy infinite goodness to receive and to answer them, and especially for that one of us who shall first end this mortal life. Sweet Heart of my Saviour, pour down upon him in the agony of death Thine inward consolations; receive him within Thy sacred wounds; cleanse him from every stain in that Furnace of Love, that so Thou mayest open to him speedily the entrance into Thy glory, there to intercede with Thee for all those who yet tarry in this their land of exile. 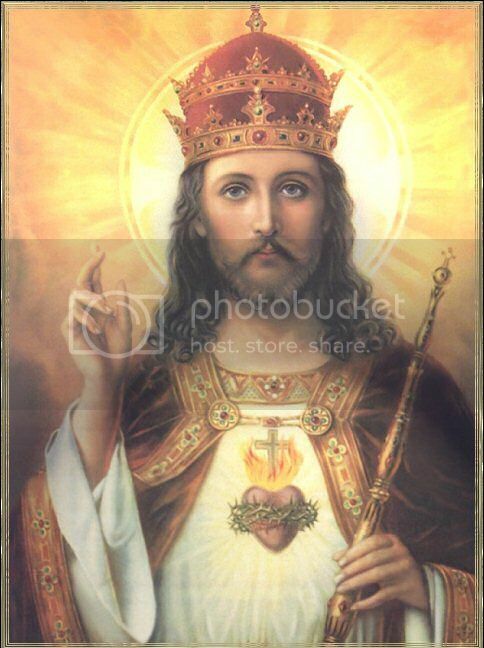 Most Holy Heart of my most loving Jesus, h purpose to renew these acts of adoration and these prayers for myself, miserable sinner, as well as for all who are associated with me in adoring Thee, and to offer them to Thee every moment while I live, down to the last instant of my life. I recommend to Thee, my Jesus, the Holy Church, Thy well-beloved Spouse, our own true Mother, all just souls, all poor sinners, the afflicted, the dying, and all men over the face of the whole earth: let not Thy Blood be shed in vain for them; and vouchsafe lastly to apply it to the relief of the souls in purgatory, and above all to those who in the course of their life were wont devoutly to adore Thee. Most loving Heart of Mary, who, amongst the hearts of all creatures of God, art at once the most pure, most inflamed with love for Jesus, and most compassionate towards us poor sinners, gain for us from the heart of Jesus our Redeemer all the graces which we ask of thee. Mother of mercies, one sigh, one movement of thy heart inflamed with love towards the Heart of Jesus, has power perfectly to console us. Grant us, then, this favour, and then the Heart of Jesus, full of that filial love It had for thee and will ever have, will not fail to hear and answer our request. Amen.